The Empire Strikes Back is widely regarded as the greatest sequel ever made, especially in geekier circles. 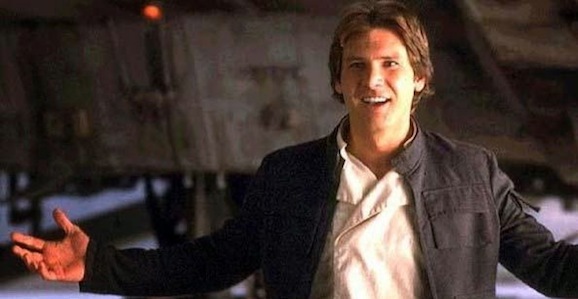 One actor, however, thinks the upcoming Star Wars: Episode VII may claim that throne next year, and, unlike most people, he’s in a unique position to spout off on such a topic. Anthony Daniels is one of only two actors (Kenny Baker as R2-D2 is the other) to appear in all six, soon (ish) to be seven, Star Wars movies. 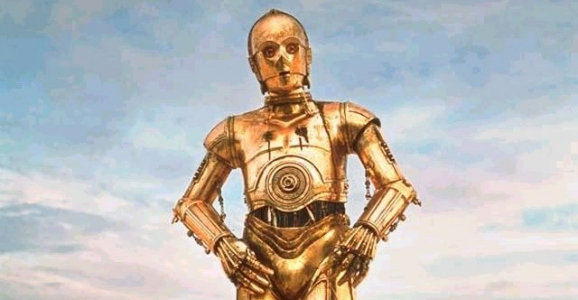 Even if you can’t picture what he looks like in real life, you know his beloved, prissy golden droid C-3PO, a prominent part of the franchise from The Phantom Menace all the way through Return of the Jedi. 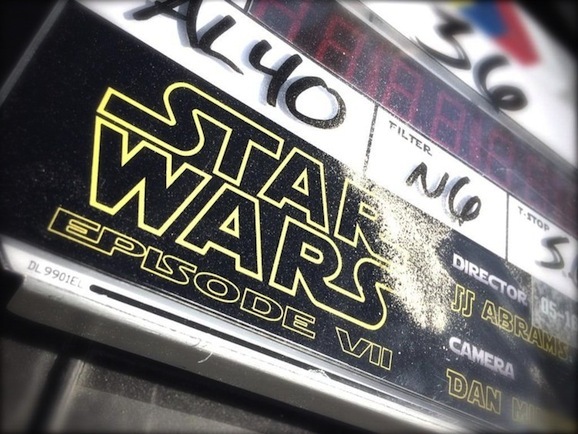 Like everyone else in the world, he’s all over social media, and now that Episode VII has wrapped principal photography, he took to Twitter to let the world know what he thinks of the film, and as it turns out, he’s got a high opinion of the project. And here is the most geektastic thing you will see all day (and yes, I hate myself a little for using that term, but nothing else seems to capture the precise nerdiness of this photograph). 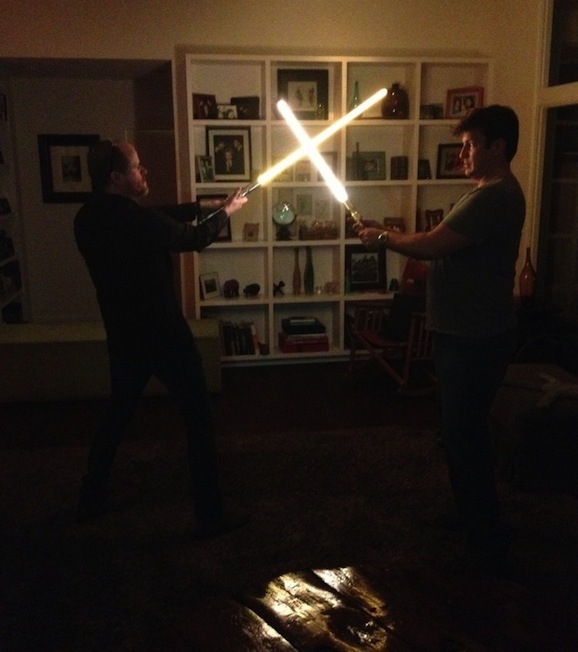 Just in case you forgot what huge dorks both Joss Whedon and Nathan Fillion actually are, here’s a photograph of the two of them fighting with lightsabers, just for the hell of it. This week the new Star Wars Expanded Universe opens up just a little bit more with Tarkin by James Luceno. It’s the second novel in the new EU, following on the heels of the Rebels prequel A New Dawn, which released a few months back. 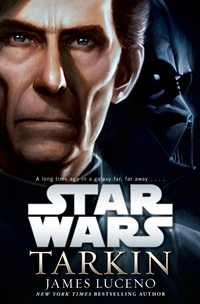 While that book was set during the “dark times” after the massacre of the Jedi order and the ascension of Palpatine to Emperor, Tarkin is set in the days leading up to A New Hope, with the first Death Star still under construction and Tarkin one of the most powerful men in the Empire. As for Luceno, he’s no stranger to the Star Wars universe, having penned Darth Plagueis, the Dark Lord Trilogy, and more. Here’s what’s new on the Giant Freakin’ Bookshelf! He’s the scion of an honorable and revered family. A dedicated soldier and distinguished legislator. Loyal proponent of the Republic and trusted ally of the Jedi Order. Groomed by the ruthless politician and Sith Lord who would be Emperor, Governor Wilhuff Tarkin rises through the Imperial ranks, enforcing his authority ever more mercilessly…and zealously pursuing his destiny as the architect of absolute dominion. Rule through the fear of force rather than force itself, he advises his Emperor. Under Tarkin’s guidance, an ultimate weapon of unparalleled destruction moves ever closer to becoming a terrifying reality. When the so-called Death Star is completed, Tarkin is confident that the galaxy’s lingering pockets of Separatist rebellion will be brought to heel — by intimidation…or annihilation. Until then, however, insurgency remains a genuine threat. Escalating guerrilla attacks by resistance forces and newfound evidence of a growing Separatist conspiracy are an immediate danger the Empire must meet with swift and brutal action. And to bring down a band of elusive freedom fighters, the Emperor turns to his most formidable agents: Darth Vader, the fearsome new Sith enforcer as remorseless as he is mysterious; and Tarkin — whose tactical cunning and cold-blooded efficiency will pave the way for the Empire’s supremacy…and its enemies’ extinction.